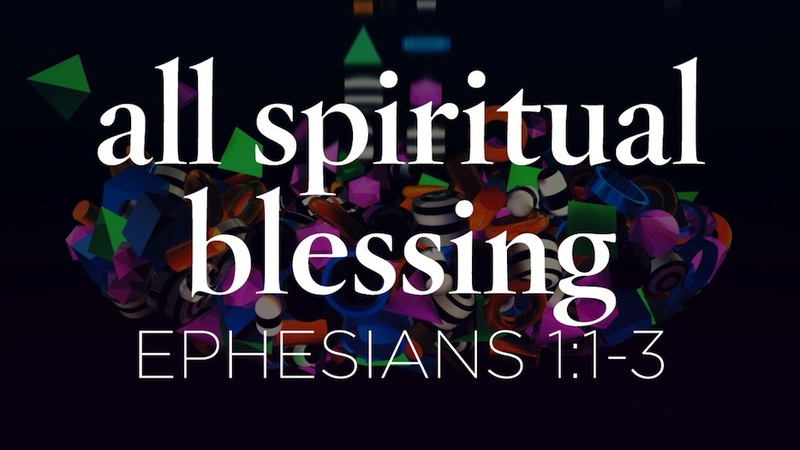 Every spiritual blessing is already yours in Christ — if you are a believer that is. If you are a Christian with emotional or financial trouble; if you have medical concerns or issues and problems at every hand, lit may not seem like it, but circumstances do not change the Word of God. No, the Word of God is sure. Now here’s where I have to pose a couple of questions to see if you get it or not. Are Christians Blessed with Every Physical Blessing? Well, physical blessings are not specifically referenced in Ephesians 1:3 are they? No, but does that mean we only have spiritual blessings? We’ll have to explore other Scripture to see. Let’s see what we can find. The apostle John, in writing his third epistle, said he wished above all things that the believers may prosper and be in health. I believe he reflected God’s desire in this as well. But it doesn’t say we’ve been blessed with every physical blessing and I don’t think we can draw that conclusion from that one verse. God promised Abram (later named Abraham) s physical nation and to make Abram’s name ‘great.’ Those are not spiritual blessings though they have their origin in God. Israel was promised physical blessings of land, increase, health and being a blessing to other nations but they were never promised, “every spiritual blessing.” That was reserved for us, children of God through the new birth in this dispensation of Grace under which we live. I bet some of you out there are saying this too. “What can I do with spiritual blessings — I can’t take them to the bank.” or, “I’d rather have the physical blessings.” Such statements show how world-centered we are. We live in a material world and there are the haves and the have-nots, right? Blessing surely is shown by how much money and stuff you have, right? I understand that sentiment, but I also understand that the primary and most valuable blessing of all is spiritual, not physical. Physical comes and goes; spiritual is eternal. Don’t be like Esau who sold his birthright for a bowl of stew! Genesis 25:30-34 And Esau said to Jacob, Feed me, I pray thee, with that same red pottage; for I am faint: therefore was his name called Edom. I bring up this bit of history to demonstrate how many Christians are pursuing Israel’s blessings and are ignoring their spiritual blessings in the process. I don’t know about you, but I would never trade my spiritual blessings for a pot of stew (physical blessings). In fact I’d rather die hungry than miss out on everything God has in store for those who believe in Christ during this Age of Grace. Your birthright is that you are an heir of God, a joint-heir with Christ of all God’s blessings. That is nothing to scoff at. There is something else to consider here. The spiritual realm governs the physical realm. Surely God who is Spirit (John 4:24) can make rich who He wants to make rich and make poor who He wants to make poor. Don’t believe me? Re-read Romans 9 and give it some deep thought. God has not blessed us in the Christian church with every physical blessing. But understand this. Whatever you need to live and carry out His work, He shall supply. Philippians 4:19 And my God shall supply all your needs according to the riches of his glory in Christ Jesus. Notice it says “needs” and not “greeds.” I’m sure that’s been pointed out to you before. What do we “need?” We need the basics such as physical sustenance and suitable clothing for the climate we live in. We need other people though that’s not as critical as having food to eat or shelter from the storm. We definitely have physical need and God will supply that as we walk with Him. But what has God asked us to do? He’s asked us to live a godly life and to share the gospel of Christ with other people. He’s asked us to represent Him and His son Jesus in this dying material world. Whatever you need to do God’s work, He shall supply all that need as well. Don’t be disappointed that you haven’t been blessed with every physical blessing in Christ. The physical is a breath in the wind; it comes and goes. There is nothing eternal about a physical blessing. However, spiritual blessings last forever. That’s something to live for. That’s something to really appreciate. Thank you Father for every spiritual blessing in Christ that you have given to me your son. Thanks for all my brothers and sisters in Christ who have received these same spiritual blessings. Help us see how special and how permanent they are. And until we receive them in full at the return of Christ and the subsequent consummation of all things, thank you for promising to supply all our need according to your riches in Christ Jesus.